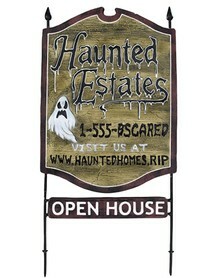 Realtor.com ran a consumer survey Oct 1 – Oct 3 2012 regarding home buyers and their interest in purchasing haunted real estate. Surprisingly, 29% would buy a home with a reputation of being haunted – but only if they got a substantial discount in the price, 20% or more off from an otherwise normal house. For a small minority, the property would be worth more if haunted (just 2%). Of the approximately 1900 people polled, 35% said that they would not consider purchasing a home which was said to be haunted, 32% said they would consider it and 33% said they might. In the U.S. today, about half of all Americans believe in ghosts – an interesting point to factor in. It is not surprising that people who do not believe in spooky spirits would be willing to live in a house or condo with a haunted reputation; what is more surprising is that a third or so of those who do believe are willing (or interested) in living in a haunted habitat, and that any of them would pay more for it!